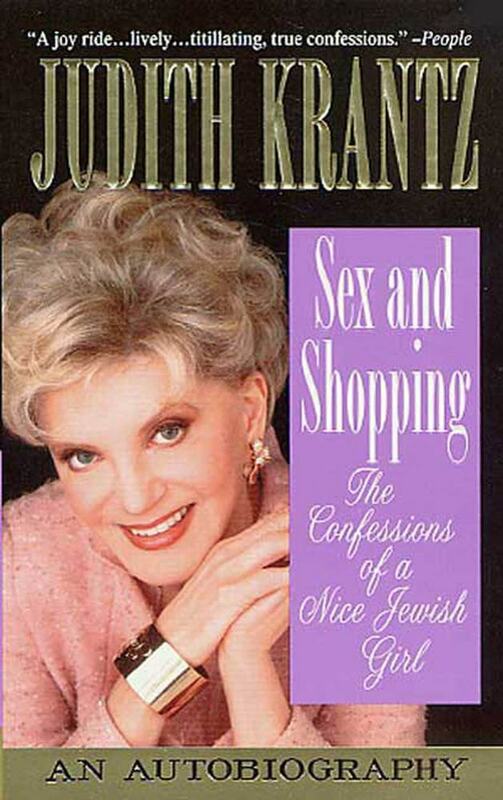 Best-selling novelist Judith Krantz. 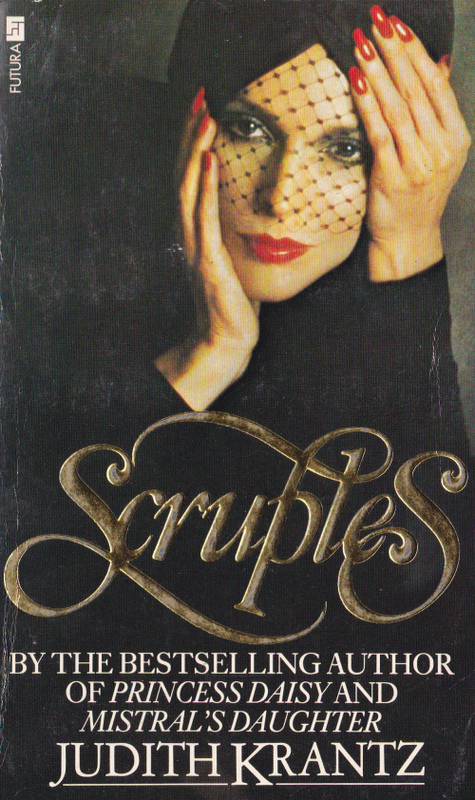 She wrote SCRUPLES, PRINCESS DAISY and DAZZLE. 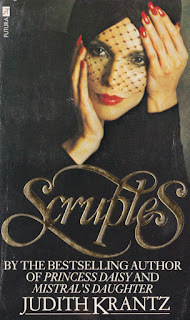 In the late 1970s and the 1980s, her novels drew us to the bookstores to buy the latest looks at modern women dealing with money, men and morals. 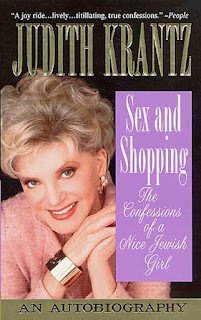 I happened to have author Judith Krantz on my mind today -- then I saw that January 9th is Ms. Krantz's her birthday. It's reported that she's now 91. I thought of her when I saw some of Trump's address to the nation last night in which he seems to want his own modern-day Iron Curtain to keep Mexicans out of America. So, why did I think of Judith Krantz? I wondered what she'd have to say about the Trump administration. Back in the late 80s, when I was lucky enough to have my own prime time talk show on VH1, Judith Krantz was a terrific guest, gracious and candid. Writers were always some of my favorite guests on the show because they were smart, frank, funny and grateful to know I'd read some of their work. 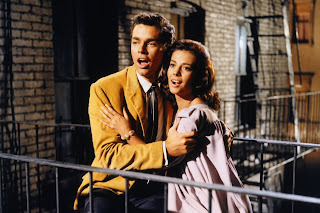 With movie and TV actors, they were often reluctant to be so honest for fear of limiting box office dollars or viewers in their audience. But writers came on with a "take no prisoners" attitude that made for interesting TV. And I interviewed some interesting writers: Norman Mailer, Dominick Dunne, Anne Rice, Anna Quindlen, Susan Isaacs and Fran Lebowitz. When Judith Krantz was on my show, Dan Quayle was regularly in the headlines. He became Vice-President to George H.W. Bush. Krantz was no fan of Quayle's and flat-out said that he reminded her of the main male character in a famous book -- the good-looking, not too smart, opportunist in AN AMERICAN TRAGEDY (by Theodore Dreiser) who would take the girl out in the canoe and only save himself when they both fell out into the water and she couldn't swim. Krantz then said, "Well, I probably lost some readers with that statement." From the way her books continued to sell, it didn't seem as though she did. 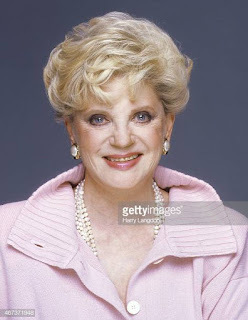 I've often wondered what she would have to say about where we are now -- with a publicity hound real estate millionaire-turned-NBC reality TV game show host who had no prior political experience yet was elected to sit in the Oval Office and is now running the country.